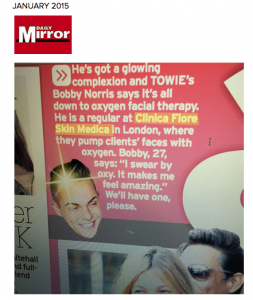 The Daily Mirror wrote an article back in January 2015 about how oxygen facial therapy has improved Bobby Norris’s skin. Bobby says he “swears by oxy”. Bobby has always been impressed by his facial treatment and has said his glowing complexion is all down to oxygen facial therapy. Find out more information about our Facial Treatment here at Oxyjet Today! 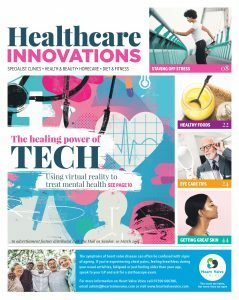 OxyJet UK are pleased to have recently had an advert be featured in the Mail on Sunday’s Healthcare Innovation’s supplement. The ad promotes Nora Bode’s new OXYJET GO device. The patented Nora Bode Pulse Pressure Technology is now available for home use with the Oxyjet Go. Find out more information about our Facial Treatment here at Oxyjet Today! 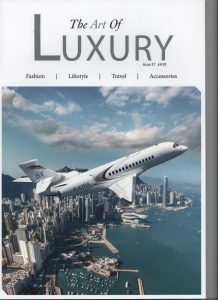 OxyJet UK have recently had an advert featured in The Art Of Luxury glossy magazine. The ad promotes Nora Bode’s new OXYJET GO device. The OXYjet GO handheld device has been designed and modified exclusively for home use. Find out more information about the OXYJET GO here at Oxyjet Today!